STEM and STEAM have become buzz words in education and summer camps, and for good reason. STEM / STEAM activities help develop the creators, thinkers, problem solvers, innovators and inventors of tomorrow. STEM stands for science, technology, engineering, and math. STEAM adds art to the mix of important skills. These fields of study are areas that our kids need to be comfortable with in order to excel in the future. STEM lessons are meant to be well rounded. Instead of teaching each subject separately, the aim of a STEM lesson is to include some or all elements of STEM into each project. For this reason, one shouldn’t look at what activities offer science, what offer technology, what offer engineering, etc. But rather, do the activities incorporate most, if not all parts of STEM. At Cub Creek Science Camp, we can honestly say, that we have focused on STEAM / STEM summer programs long before they even became recognized terms. We think that if done right, learning is fun and fun can be educational, and STEM is just a natural part of life. At Cub Creek Science Camp, STEM is incorporated into everything we do! We encourage our campers to explore, experiment, ask questions, and try lots of new things. We engage curiosity and give loads of opportunities to strengthen problem solving skills. Campers learn by "doing" and have a whole lot of fun in the process. Technology, Engineering and Mathematics are all part of science. And so, STEM is a natural part of our camp culture. Science is in our name and it's our main game! Science is a way of exploring and understanding the physical world. We offer activities that focus on mathematics and logic, biological science, physical science and even social science. But even those activities with a specific focus, still require the development and use of all areas of STEM. 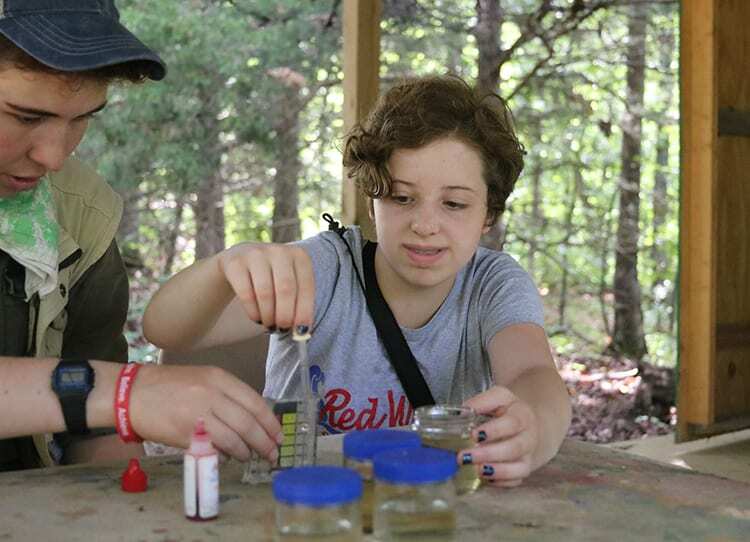 There are few activities at camp that don’t have a learning component and a connection back to science. 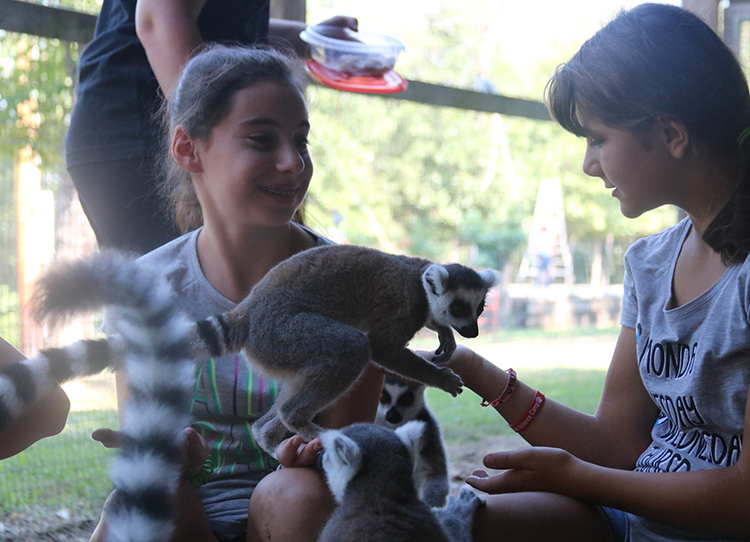 STEM – Science activities at camp include; Animal Care, Veterinary Medicine, Chemistry, Physics, Crime Science and just about every other activity at camp. At camp, we offer a variety of activities that center around the use of technology. And while we want our campers to take a break for “screen time”, we do take advantage of modern tech at camp. While camp offers a rustic feel, don’t let our appearance fool you. Many of our hands-on activities are enhanced by technology. Technology at camp includes; air conditioning, camp vehicles, modern microscopes, telescopes as well as the modern appliances and tools used in a variety of camp activities. STEM – Technology activities at camp include; GPS devices used for finding geocaches, YouTube videos used in a variety of our classes for instructional purposes. Apps are used to show constellations, modern kitchen appliances in culinary science and equipment used in are ceramic lab and pottery studio. Being able to design and build at camp is a fundamental part of so many camp activities. A great thing about engineering, is that learning comes so naturally just by giving campers the time, space and resources to create, build and design. 21st century skills are learned while camper building forts, boats, towers, parachutes and rockets. 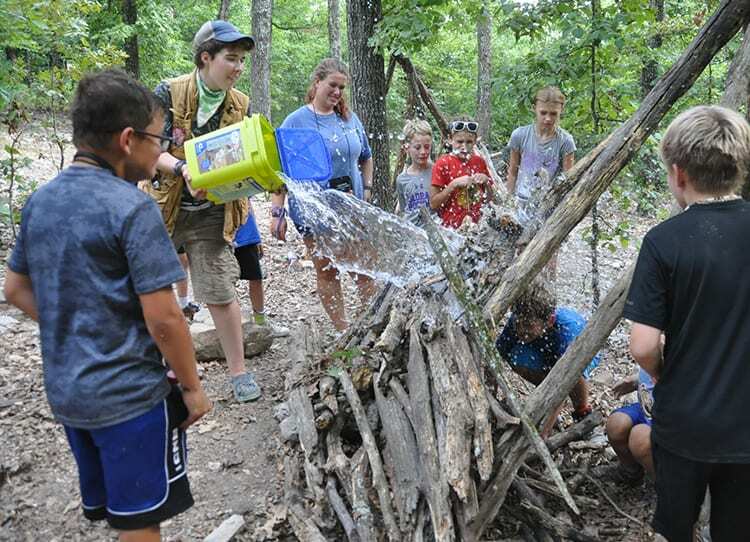 STEM – Engineering activities at camp include; designing and building anything, from shelters in survival skills to boats in our pirate regatta. Physics is also a camp course with a strong focus on engineering. Math is a fundamental part of so much that we do in this modern age. Likewise, math is incorporated into many activities at camp, even during free time. Our money management award is given to campers who keep track of the money in their account, even as they purchase things from the trading post. Culinary Science requires campers to measure and ingredients and divide recipes to match the number of servings they hope to make. Jr. Vet students learn to calculate amount of a needed medication based on the body size of an animal. Camp wouldn’t be camp without any arts and crafts. And STEM would be a little stale without the arts as well. Art adds creative thinking to STEM. It can also include far more than just crafts. It can include physical art, music, and even language arts. STEAM- Art activities at camp include; photography, any of the activities in our art studio, pottery barn or ceramics lab as well as countless crafts done within the cabin.